It never rains in my world! We spent the last couple of nights in Charleston, the capital of West Virginia. We decided to take a break from golf on Saturday and instead did a bit of forward planning and then spent the afternoon by the pool. It was a gorgeous day. We had dinner at the Bluegrass Kitchen – a hippy type organic restaurant which was delicious. On Sunday morning we hit the road singing along to Take me Home, Country Roads, Almost Heaven, West Virginia…. It was another sunny day but we hit a bit of fog and low cloud the higher we got into the mountains. We were heading for The Greenbrier in White Sulphur Springs. The Greenbrier has been around since 1778 and as you can see from the history timeline below has seen some interesting times. We checked in and had a quick look around – it is a grand old place. We also discovered that they were holding The Greenbrier Tennis Classic and Pete Sampras, Andy Roddick, Ryan Harrison and John McEnroe were in the house. We actually saw John McEnroe in action after we finished our round of golf – he was playing a social doubles game. The Greenbrier has 6 golf courses. The Old White held the first Greenbrier Classic in 2010, an event that is now held annually in June. In 2011, it was announced that The Old White is now The Old White TPC, joining the most prestigious golf courses in the nation within the PGA TOUR’s The Tournament Player’s Club Network. The other courses include The Greenbrier, The Meadows, Oakhurst Links (1884) and The Snead. Built in 1884, Oakhurst Links is a unique 30-acre course, museum and clubhouse listed on the National Register of Historic Places and located just a few miles north of The Greenbrier. Russell Montague, the original owner, learned about golf in Scotland and built the course with some local friends before any other course existed in America. Guests of The Greenbrier then thought golf was an oddity – so rare was the game at that time. The first competition at Oakhurst was held in 1888 in the Scottish match play tradition, and Montague and his friends played on their course for many years. Today, conventional golf clubs are not used at Oakhurst. Instead, players use hickory-shafted clubs and hit gutta-percha balls off tees fashioned from sand and water the same way it was done more than 130 years ago. The Snead is exclusive to members of The Greenbrier Sporting Club. It was designed by Tom Fazio and named after the famous Sam Snead (1912 – 2002) who was the involved with The Greenbrier from the 1930’s. 1778 – Earliest guests come to White Sulphur Spring to “take the waters” to restore their health. 1830s – The resort enters its first period of prominence as politicians, judges, editors, lawyers, diplomats, ministers, planters and merchants, primarily from the Southern states, annually congregate at the “village in the wilderness.” They do so only in the summer months because the 2,000-foot elevation offers relief from the heat and humidity down in the lowlands. The antebellum resort consists only of cottages and many including Paradise Row, Alabama Row and Baltimore Row still stand today. 1830-1861 – Before the Civil War, five sitting presidents stay here, demonstrating the resort’s reputation as the favored gathering place for the nation’s most influential and powerful families. 1861-1865 – The resort closes during the Civil War. During that conflict, both sides occupy the grounds, using the hotel either as a hospital or military headquarters. 1865 – Shortly after the war’s end, it reopens and the resort’s prospects are incalculably improved with the completion of the Chesapeake and Ohio Railway in 1873. 1910 – The Chesapeake and Ohio Railway purchases the historic resort property and embarks upon a major expansion. 1913 – The railroad adds The Greenbrier Hotel (the central section of today’s hotel), a new Mineral Bath Department (the building that includes the grand Indoor Pool), and an 18-hole golf course (now called The Old White Course) designed by the most prominent contemporary golf architect, Charles Blair Macdonald. 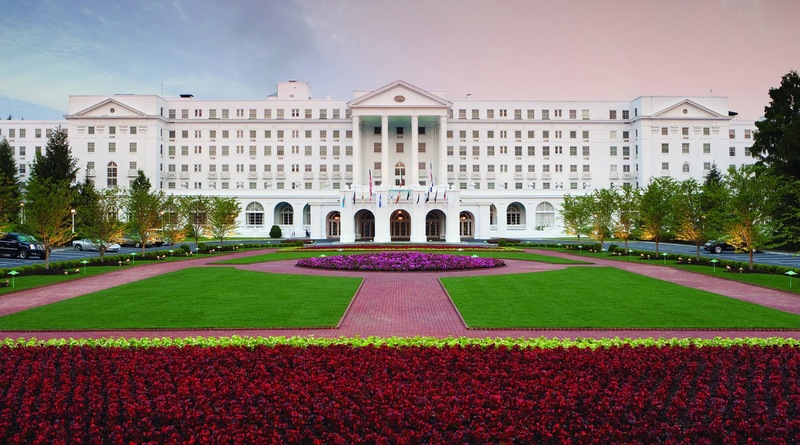 1914 – For the first time, the resort, now renamed The Greenbrier opens year round. President and Mrs. Woodrow Wilson spend their Easter holiday at The Greenbrier, and Joseph and Rose Kennedy travel down from Boston for their October honeymoon. 1920s – The Greenbrier takes its place within high society’s traveling network that stretches from Palm Beach, Florida, to Newport, Rhode Island. 1922 – The obsolete Old White Hotel is removed, which leads to a substantial rebuilding of The Greenbrier Hotel in 1930. This refurbishment doubles the number of guest rooms to five hundred. Cleveland architect Philip Small redesigns the hotel’s Main Entrance and adds both the Mount Vernon-inspired Virginia Wing and the signature North Entrance façade. 1941 – The U.S. State Department leases the hotel for seven months after the U.S. entry into WWII. Hundreds of German, Japanese and Italian diplomats and their families are relocated from Washington, D.C., until their exchange for U.S. diplomats similarly stranded overseas is completed. 1942 – The U.S. Army purchases and converts the hotel into a 2,000 bed hospital known as Ashford General Hospital. Over the course of four years, 24,148 soldiers are admitted and treated at the surgical and rehabilitation center. 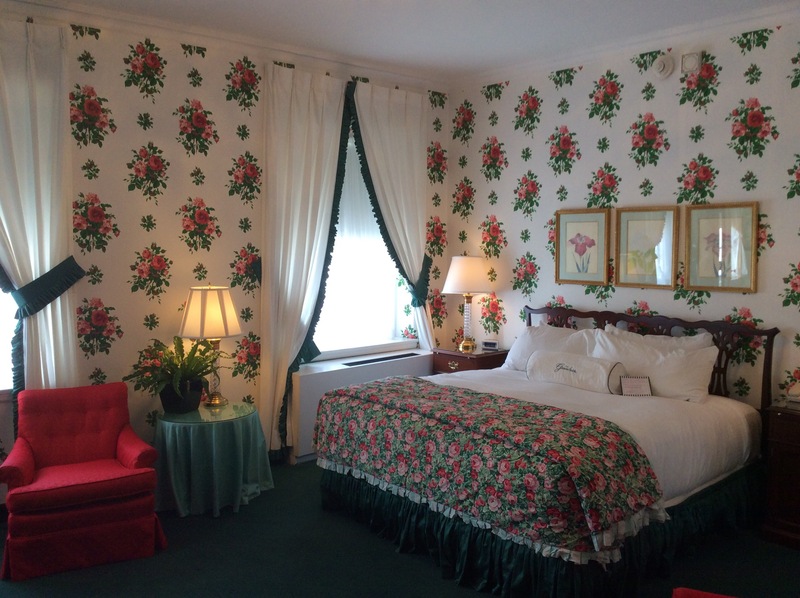 1946 – The Chesapeake and Ohio Railway reacquires the hotel from the U.S. government and commissions a comprehensive interior redecoration by the noted designer Dorothy Draper. 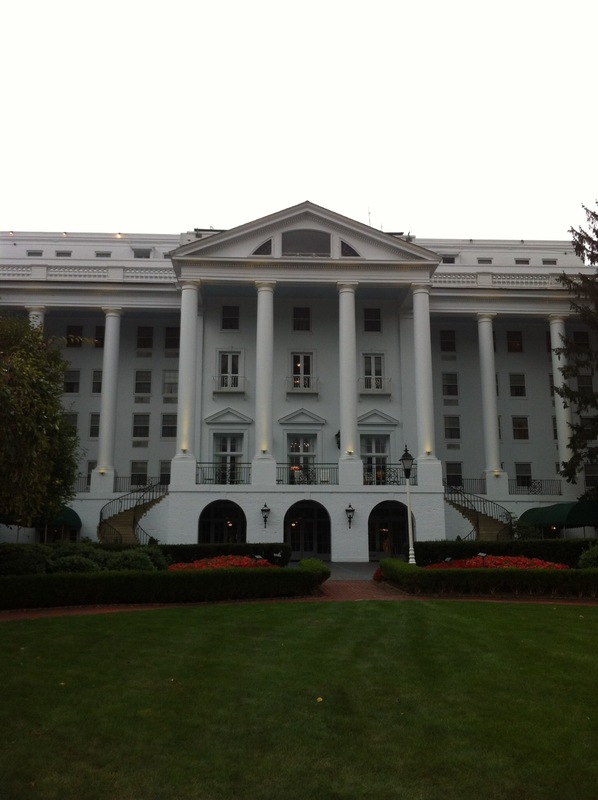 1948 – The Greenbrier reopens in 1948. Sam Snead returns as golf pro to the resort where his career began in the late 1930s. More than any other individual Sam Snead establishes The Greenbrier’s reputation as one of the world’s foremost golf destinations. 1950s – The U.S. government once again approaches The Greenbrier for assistance, this time in the construction of an Emergency Relocation Center, a bunker or bomb shelter, to be occupied by the U.S. Congress in case of war. The classified underground facility is built in conjunction with an above ground addition to the hotel, the West Virginia Wing. For thirty years the facility codenamed Project Greek Island is maintained at a constant state of operational readiness. 1978 – Jack Nicklaus redesigns the then fifty-year-old Greenbrier Course, bringing it up to championship standards for the 1979 Ryder Cup Matches. That course was also the site of three PGA Seniors tournaments in the 1980s and the 1994 Solheim Cup competition. 1992 – At the end of the Cold War, and prompted by exposure in the press, the project is terminated and the bunker decommissioned. 1999 – The Meadows Course evolves when Bob Cupp redesigns, reroutes, and upgrades the older Lakeside Course, a project that includes the creation a new Golf Academy. 2000 – The Greenbrier Sporting Club begins developing selected portions of the resort’s 6,500 acres into neighborhoods of custom-designed homes featuring panoramic views of the surrounding Allegheny Mountains. 2004 – The new infinity edge outdoor pool opens, offering a spectacular view of the Allegheny Mountains. 2006 – Golf course architect Lester George creates a challenging new version of the Old White Course based upon a historic restoration inspired by the original C. B. Macdonald design. May 7, 2009 – Jim Justice, a West Virginia entrepreneur with a long-standing appreciation for The Greenbrier, becomes the owner of America’s most fabled resort. He purchases it from the CSX Corporation which, through its predecessor companies the Chessie System and the C&O Railway, had owned the resort for ninety-nine years. August 2009 – Construction begins on the most beautiful casino in the world, one that will include shops, restaurants, and entertainment in a smoke-free environment. Carleton Varney is commissioned to extend the legendary “High Style of Dorothy Draper” throughout the new entertainment venue. July 2, 2010 – The Casino Club at The Greenbrier opens in grand fashion. 2010 – Mr. Justice arranges to relocate a PGA TOUR event with a multi-year contract under the name The Greenbrier Classic. The Greenbrier’s Golf Pro Emeritus, Tom Watson, flies in to join Mr. Justice for the announcement. 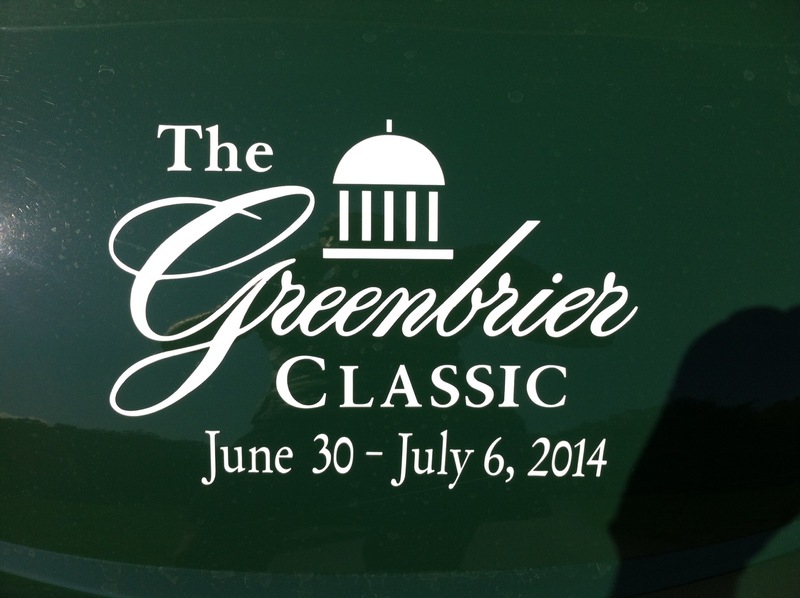 The first Greenbrier Classic is held July 26 through August 1, 2010. March 28, 2011 – The Old White becomes a Tournament Players Club (TPC) Network course. 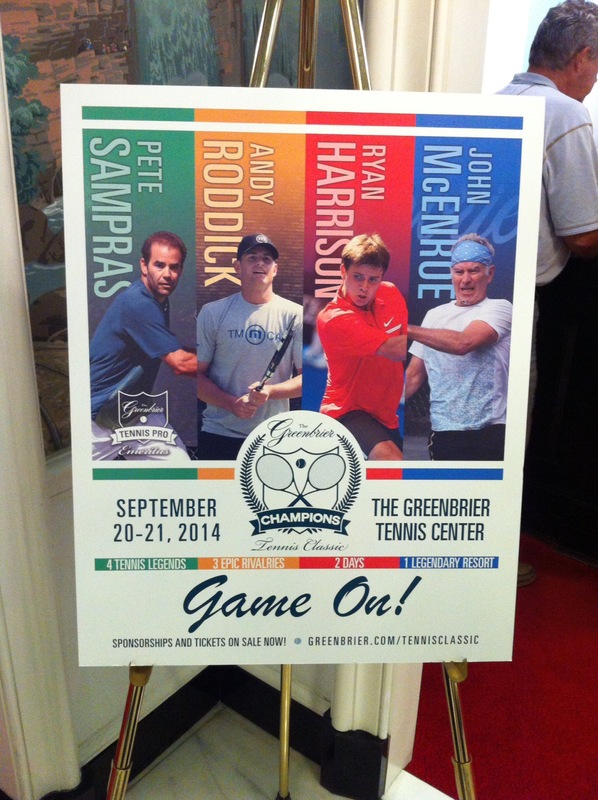 September 2012 – The inaugural Greenbrier Champions Tennis Classic won by Pete Sampras. April 2014 – Pete Sampras is named The Greenbrier’s first Tennis Pro Emeritus. July 2014 – The New Orleans Saints Training Camp is relocated to The Greenbrier. This blog was originally set up to share our 9 month adventure around Europe and the USA with friends and family in 2014. On returning to NZ in January 2015 I decided to carry it on so I could continue to share any future travel adventures - it has become my electronic travel diary. I hope you enjoy and get inspired to visit some of the wonderful places we have visited. This entry was posted in West Virginia, USA. Bookmark the permalink.